The JUMBO Grip uses the same revolutionary shape as The Pencil Grip to place fingers of both left and right handed users in the correct position for gripping. The JUMBO Grip though is about 40 percent larger than The Pencil Grip providing extended comfort and support up to the second knuckle. By allowing over 90 percent surface contact with its soft comfortable gripping surface, The JUMBO Grip sets the industry standard in ergonomics. It works for both right- and left-handed users by gently placing the hand of its users in the proper position for gripping. The natural feel and soft comfortable material make it easy and fun to write. The JUMBO Grip offers Big Time Comfort for everyone from students to seniors. 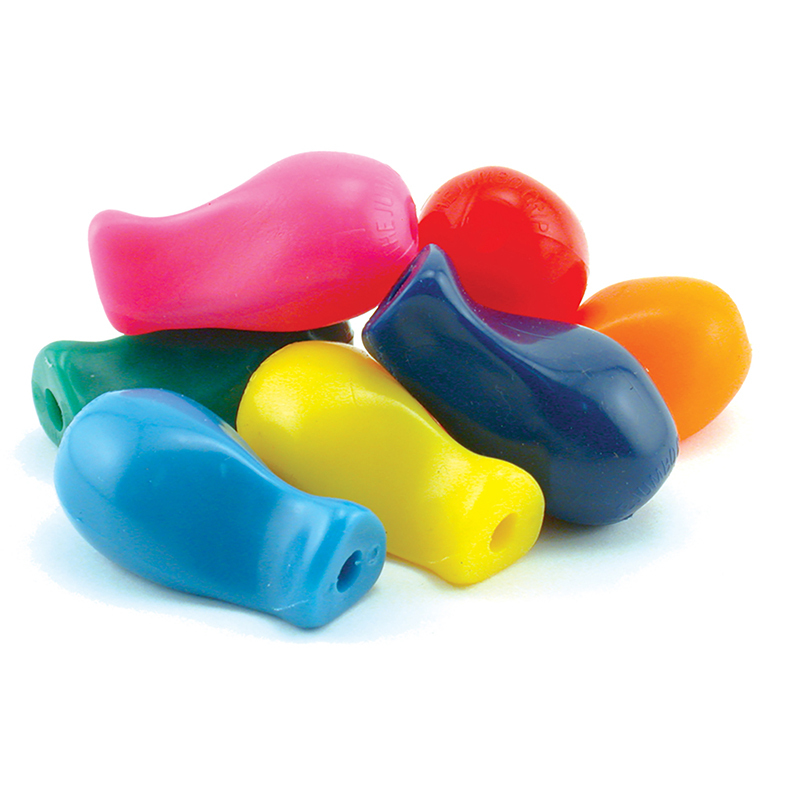 Each package includes 12 JUMBO Grips in assorted original colors. The Pencil Grip, Inc. has gained name recognition and trust in the education, toy, and therapy industries and more. The common themes that tie our products together are simple — they are designed to stimulate the mind, foster creativity and are the best available.